Fable II may have been all about building an emotional connection with your fictional family and your loyal pet dog, but if you’re the kind of person who’s more likely to grow an emotional connection to a big pile of gold there’s something in it for you too. 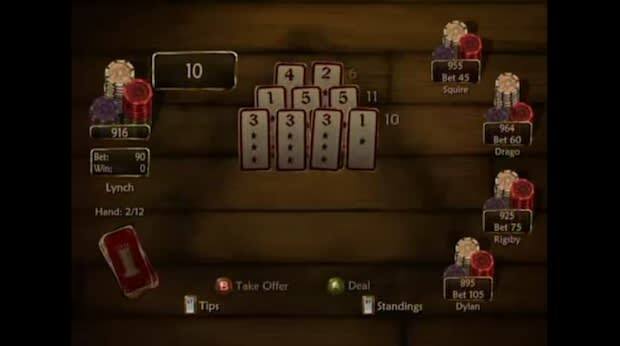 In the heart of every pub are a series of games like Keyston, Fortune’s Tower, and Spinnerbox that act like medieval versions of traditional casino games. Lion Head studios liked the games so much they released them together as an XBLA game before Fable II’s actual release and let players carry over all the cash they won into the full game when they bought it. The only problem was a since-patched exploit let everyone start the game with way too much money.